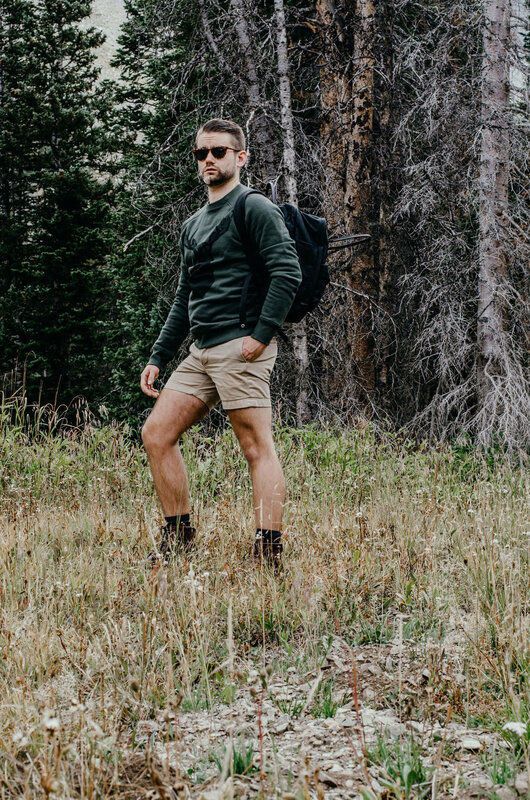 Colorado Hiking Adventure Outfit — Clinton Webb Co.
Spring weather is heading our way! 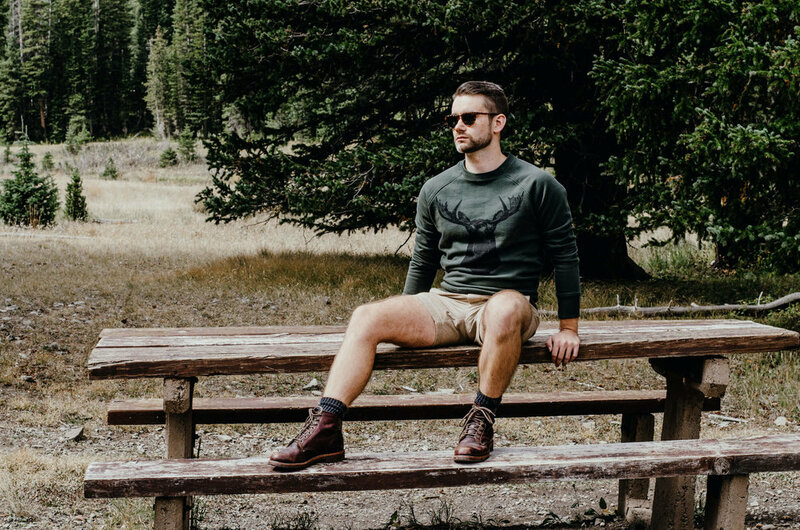 I found this amazing moose sweatshirt from Ron Dorff that I decided to wear on a quick trip to the mountains to keep me warm from the chill. About three hours west of Fort Collins is one of the most magical spaces I’ve been to in Colorado so far. If you’re up for a day trip up the majestic Poudre Canyon, which is a trip in itself and I recommend taking plenty of stops for photo opportunities, the Nokhu Crags are one of the best places to visit. I recommend taking a small lunch and picnicking on the shore of Lake Agnes. 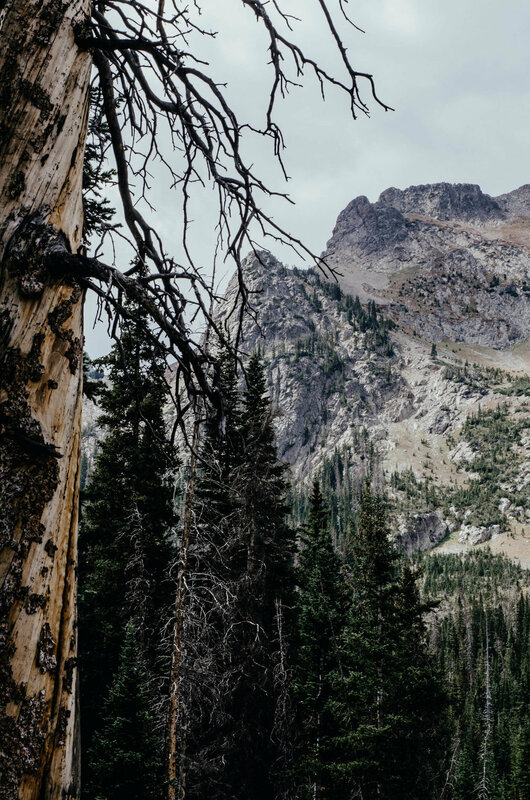 Once you reach Cameron Pass on the Continental Divide, the Crags are in sight and they’re definitely a sight! Fair warning: if you’re taking a non-four-wheel drive car up it might be best to park at the bottom of the small mountain you need to climb to get to the main parking lot. My Jetta (barely) made it up the harrowing dirt road up to the top, but Hans the Jetta is a beast. You can hike to the top of the Crags, but I skipped this part for now. 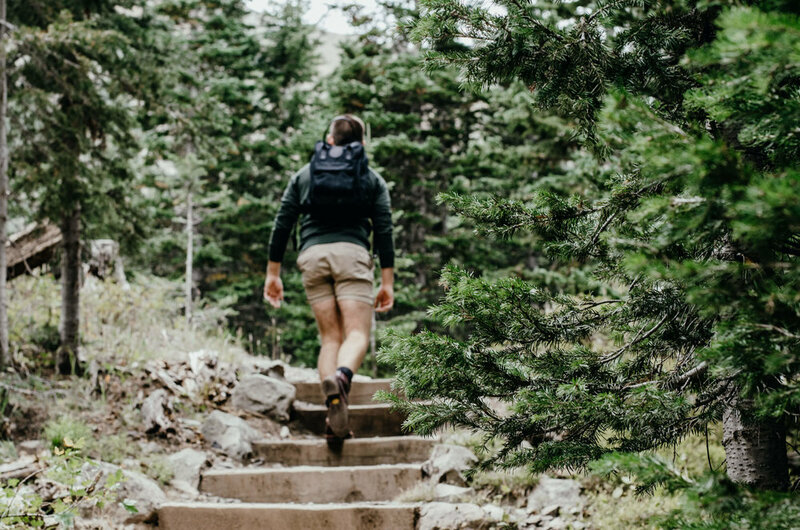 Now, someone like me definitely puts a bit more attention into their outfit even when they’re out on a hike. Don’t get me wrong I love wearing my Lululemon shorts and tops when I’m out and about, but for such a special place like this I decided to up the ante a bit. I found this amazing moose sweater from French sportswear brand Ron Dorff that I discovered while wandering Le Marais during my study abroad trip to Paris in 2015. I decided it would be the perfect piece to take up in the mountains, moose, forest green, my favorite sportswear brand? The perfect combination for a Colorado adventure. Unfortunately the sweatshirt is sold out online, but check out the “Shop This Look” section below for a comparable look from Ron Dorff. I paired this very cozy sweatshirt with my favorite chino shorts from J. Crew and to finish the look off a pair of Chippewa leather boots. I took a small cheese board up with me to Lake Agnes for a small lunch while hiking, which is where my Fjällräven backpack came in handy. Take a look at some of the pictures I took from my adventure below, and if you like what you see please share my post on your social media of choice!